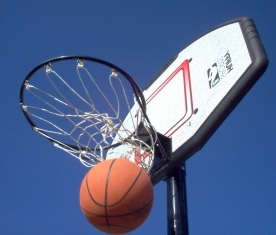 FreeMoneyFinance is getting into the March Madness spirit by starting his own tournament featuring the 64 best articles in all personal finance land. Each personal finance blogger is allowed to submit 4 articles to the selection committee and the top 64 will get put into the bracket. From there it’s head to head competition until only one article remains. The winner gets all kinds of goodies and not to mention bragging rights for an entire year. You have until the end of this weekend to submit your articles and the tournament kicks off Tuesday, March 6th. Here are the four articles that I submitted to the competition. Stop by FreeMoneyFinance the week of March 6th and see if any of them made the tournament. I think this post hits home with a lot of people and hopefully opens up their eyes that just because you can come up with an excuse does not mean that you should just go ahead and throw away your retirement dreams. Well all have our problems\issues\dilemmas as to why we haven’t started saving for retirement, but there really is NO excuse for not starting right this very second. I like this post because it shows how absolutely impossible it is to win the lottery. Yes people win the lottery, but they also get struck by lightening, drown in their own bath tub, and get killed by errant fireworks, and unfortunately you have thousands times better luck having the former happen to you that win the lottery. Not a true devil’s advocate post (â„¢ jim – crap you aren’t paring me up against him are you), but certianly a biased look at home ownership and many of the costs that are ignored when someone says that buying a home is no brainer decision. How I roll and my feelings towards vehicles. I personally like to diversify my vehicle expenses and never like to invest too much money into a car at one time. If something major were to go wrong I would just cut my losses and buy another one (how’s that for low maintenance costs). This philosophy has allowed me to easily save tens of thousands of more dollars for retirement versus spending that money on new fancy cars that in a few years would worth a fraction of the price you would have bought them for. There isn’t a whole lot of depreciation with a car like mine.